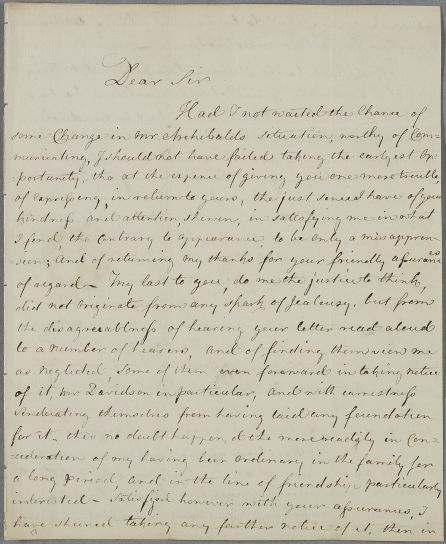 Letter from Andrew Wilson, concerning the case of Mr Archibald. He apologises for a previous misunderstanding (see Doc 1969). 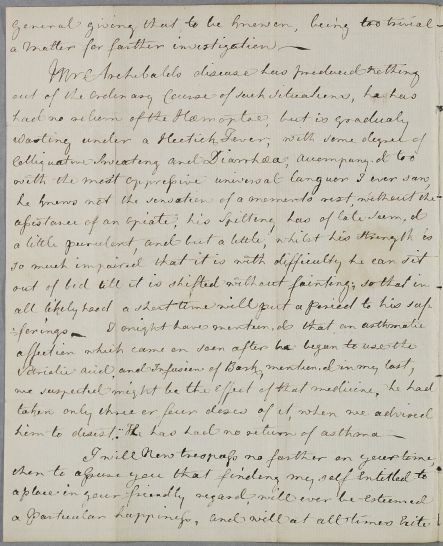 Mr Archibald's condition continues to deteriorate with fever, sweating and diarrhœa, so much so that he believes that 'in all likelyhood a short time will put a Period to his sufferings'. 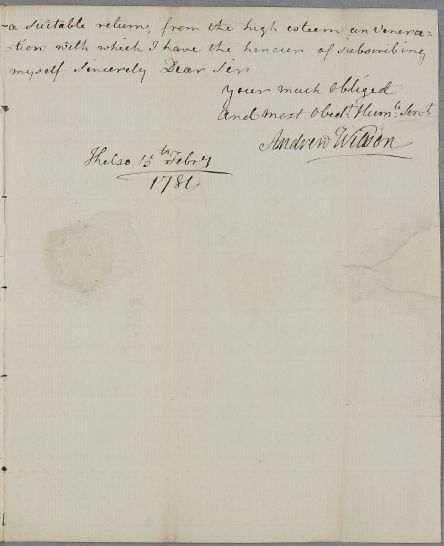 Summary Letter from Andrew Wilson, concerning the case of Mr Archibald. He apologises for a previous misunderstanding (see Doc 1969). Mr Archibald's condition continues to deteriorate with fever, sweating and diarrhœa, so much so that he believes that 'in all likelyhood a short time will put a Period to his sufferings'. 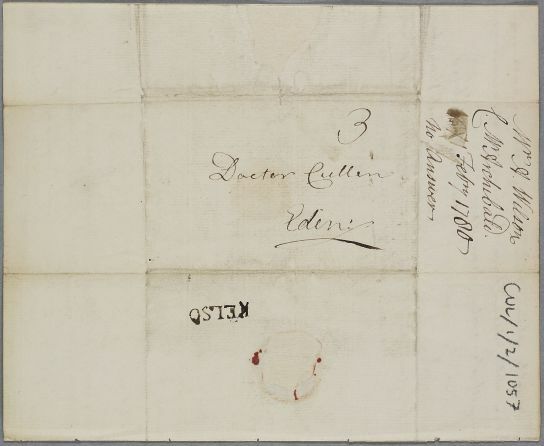 Case of Mr Archibald who is in a dangerous condition with blood-spitting, cough and fever. with the most Oppressive universal languor I ever saw.